Across the northern flank of the Chuhunagkeng anticline (see the inset figure in Fig. 1) and along Road no. 126 (Fig. 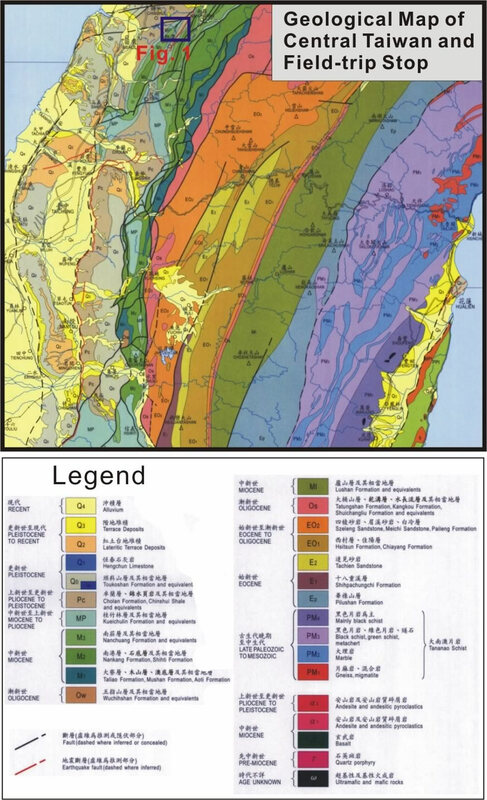 1), it exposes a series of upper Miocene and lower Pliocene strata of the Tungkeng Formation, Shanfuchi Sandstone, Kueichulin Formation, and Chinshui Shale (Fig. 1). Rock formations of Tungkeng Formation and Shanfuchi Sandstone represent passive-margin, fluvial to coastal deposits that were accumulated prior to the arc-continent collision whereas the overlying Kueichulin Formation and Chinshui Shale represents the early foreland-basin deposits that were accumulated during the early stage of the arc-continent collision in a coastal to shallow marine setting. 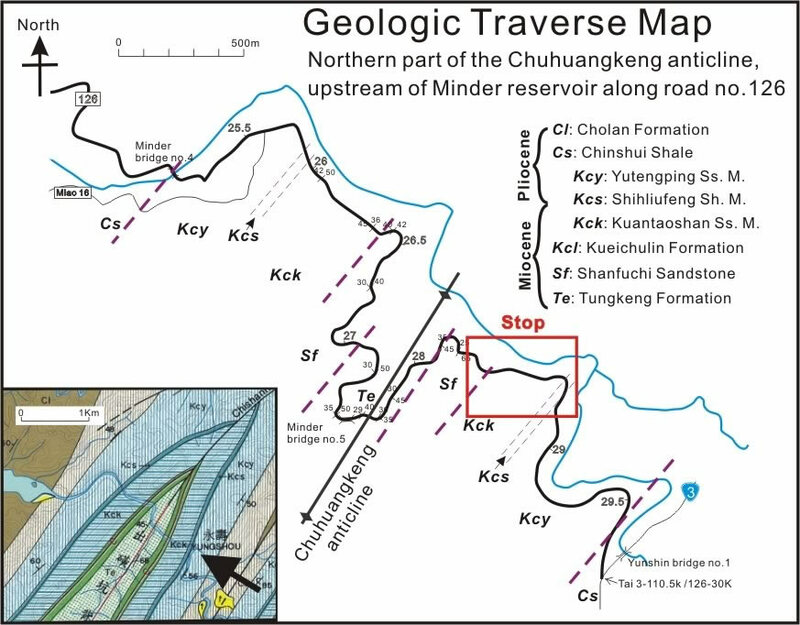 We will visit the Shanfuchi Sandstone and the Kueichulin Formation in the eastern flank of the anticline to examine transitional sedimentation that grade upward from passive margin to foreland basin.